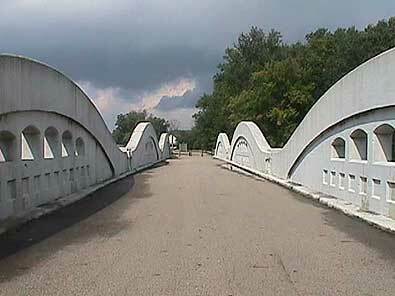 The US-12 bridge over the St. Joseph River is a pedestrian bridge built in 1922. It is the "largest surviving reinforced concrete camelback bridge in Michigan." 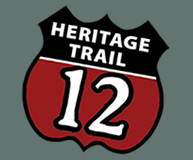 More information can be found on the website of the Michigan Department of Transportation.